NORTH BAY, Ont. 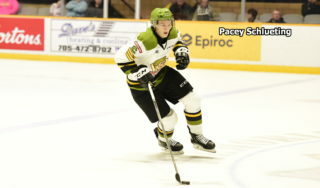 — Centre Mason Primeau of the North Bay Battalion is among 43 Ontario Hockey League skaters in final rankings by the National Hockey League’s central scouting department in advance of the 2019 NHL Draft. 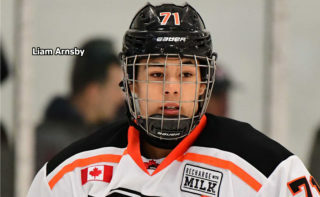 Primeau, who turns 18 on July 28, is rated 113th among 217 North American-based skaters on one of four lists released Monday. He moved up from 142nd in midseason rankings. 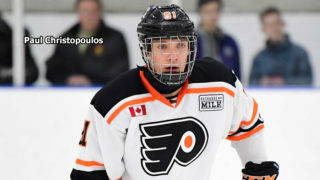 A six-foot-five, 205-pound Toronto resident, Primeau scored 10 goals and earned 16 assists for 26 points in 49 games with North Bay after a Nov. 15 trade from the Guelph Storm, which took him in the second round, 22nd overall, of the 2017 OHL Priority Selection from the Toronto Nationals minor midgets. 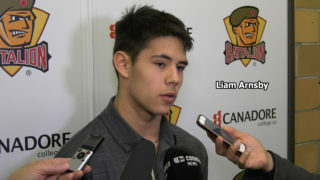 The Battalion sent two picks to Guelph for him. In 129 OHL games, including 80 with the Storm, Primeau has 20 goals and 26 assists for 46 points. He scored one goal and added two assists for three points in five playoff games this year. 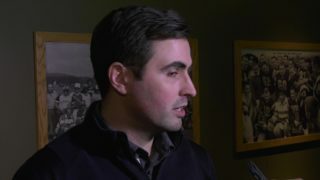 “It’s once again nice to be recognized on the list, and I’m happy to see that I have jumped up 30 spots,” Primeau said by text from Toronto. 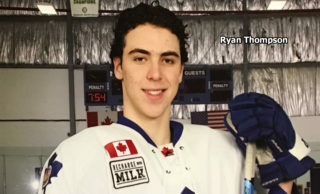 A total of 113 Canadian Hockey League skaters are on the list, including 40 from the Western Hockey League and 30 from the Quebec Major Junior Hockey League. 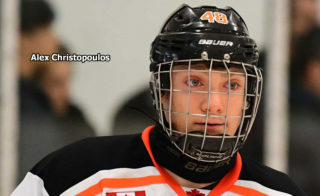 The top-rated OHLer is left-shot right winger Arthur Kaliyev of the Hamilton Bulldogs, who’s ranked seventh, followed by defenceman Thomas Harley of the Mississauga Steelheads at ninth and centre Philip Tomasino of the Niagara IceDogs at 14th. The NHL also ranked 31 North American-based goaltenders, including five OHLers, led by Hunter Jones of the Peterborough Petes at No. 3. Ten WHL and two QMJHL goaltenders made the list. A total of 135 European-based skaters and 12 European-based goaltenders made up the other two lists compiled ahead of the draft, scheduled June 21-22 at Vancouver.